Tonight we welcome families from our congregation and our UU neighbors to participate in our first-ever YUUTH Game Night. While the games were designed for ages 8-12, all ages welcome. Light snacks will be provided by the Religious Education Committee. "Star Trek" has always been a thoughtful sci-fi franchise, from the original series' civil rights allegories to the New Agey musings of "The Next Generation" and beyond. Though Gene Roddenberry considered himself an atheist, the show's open-minded humanist worldview overlaps nicely with the seeking spirit of Unitarian Universalism. Join self-avowed Trekkie Amy Starbin on a brief exploration of how the Seven Principles "interface" with the ethics of Trek. Have you ever had the experience of learning something that everyone else already knew? I remember a beloved high school history teacher (he wasn't beloved at the time, but I sure appreciate him now) telling us, "Whenever you see a rule written down, whether it's The Code of Hammurabi or 'Thou Shalt Not Kill' or 'Keep Off the Grass,' you know that someone broke that law the day before." "You believe what you wanna believe." That lyric sticks with me, and it resonates in my favorite tidbits of pop culture, such as The Grateful Dead letting us know that "One man gathers what another man spills," Paul Simon telling us that "a man hears what he wants to hear and disregards the rest" and, what the hell, Sir Mix-a-Lot declaring "So they toss it, and leave it, but I pull up quick to retrieve it." We place value on certain things and perhaps don't see the value in others. Furthermore, we are more inclined to believe certain things without evidence than we are to doubt certain things despite evidence, because we believe what we wanna believe. Knowing that about myself, and therefore my tendency to look for as many angles as I can before making a decision, probably makes me an insufferable human being now and then. Sorry? But, being firmly middle-aged, I also have the tendency to Worry About the World a lot more than I once did, and I see perils for my children where I didn't see them for Younger Me. I see the saturation of sinister or thoughtless media choices that threaten to overwhelm the unwary, making our natural inclination to believe what we wanna believe that much more difficult to check and balance. And, as I switch on whatever suite of devices that inform my day, I do so with the knowledge that I believe what I wanna believe because of a lifetime of conditioning, relationships, education, triumphs, and setbacks. Regardless, I still tune in on whatever opposing viewpoint I can find, even if it hurts my eyes. The evangelicals who helped to elect Donald Trump often employ the expression "God uses imperfect tools" to justify their decision. While in this case that excuse seems a desperate rationalization (and is very funny when paired with the idea of a "tool"), the concept is intriguing, isn't it? It suggests, like "any port in a storm" or "the cracks are what let the light in" that we can get at the truth from a number of unexpected angles. In 1884 the British educator Edwin Abbott Abbott (I know what you're saying: If he was so educated, why did he have a redundant Abbott?) wrote the book "Flatland: A Romance of Many Dimensions." While it was written as an allegory of Victorian England, its applications have multiplied since its publication. The book describes a 2-dimensional world, Flatland, and the adventures of narrator A Square. In Flatland, the appearance of a 3-dimensional object causes consternation and panic. The residents simply cannot conceive of a being (in this case, The Sphere) with another dimension. In fact, the residents at first interpret The Sphere as a circle. Similarly, when A Square descends to the 1-dimensional Lineland, he has trouble convincing its monarch of his own existence. Then, when A Square suggests to his pal The Sphere that there might be a fourth or even fifth dimension, well, you'd think that The Sphere would be more open-minded, but he scoffs at the idea. Later, A Square encounters the sole inhabitant of Pointland, who is such a narcissist that he believes all ideas spring from himself. As an allegory of Victorian England, "Flatland" is wickedly funny. As an allegory of who we often are today, unaccepting of the possibility of something outside our own dimension (or safe space, or box, or comfort zone), even when presented with evidence and even when that evidence is put in action, it's damning. I don't know what to do with that Tool in the White House but, in our ministerial search and the things we have to think of going forward, let's not dismiss truth when we hear it, no matter the imperfections of its source. I hope we can add a dimension or two to this congregation. This quote from Eleanor Roosevelt was, when I first read it, a decades-old splash of cold water. On its face it says so much about the things that thwart our natural tendencies toward doing good — that our efforts won't be appreciated. But it also countenances so many daily inequalities in our lives which may or may not have different contemporary names, from donor fatigue to atychiphobia (Fear of Failure: Why try at all if my goals are unreachable?) to co-dependence. In the world of personal news platforms and social commentary, we might put too much spin on our caring because we are prepared either for apathy or for a negative, knee-jerk reaction. The backlash against the impressive and fierce Parkland students comes to mind as an example of our culture's destructive antipathy toward simply showing we care, even if our opinions are different. In our UU community setting, that quote has a bearing on our occasional rifts that arise among a group of spirited, educated people, each of whom enjoys the simple pleasure of knowing they're right. We are losing our minister in a few months, and my predecessor in this position also resigned. Two good, able, educated, spirited people. My goal in this gig, the goal of the Board, and the goal of you, the congregation of UUVerdugo is to recommit ourselves to Right Relations with each other, to throw open our doors, to draw seekers to us, and to seek people out. It is very simply the means of our survival. Today, ask yourself: Are these differences of opinion insurmountable? Is there a bridge I can build? What is my fear of not being agreed with? Like that guy Eleanor was married to said, "We have nothing to fear but fear itself." And we certainly should not be fearful of caring too much. I personally will not point and laugh at you if I see you caring too much. In an unlikely series of events, the true machinations of which are known only to that mysterious and terrifying organization, I have become president of the Board of Directors of my local Unitarian Church in the scenic, doughnut-rich, and fire-scarred Verdugo Hills of Southern California. As such I am called to write a monthly column for its newsletter. What better way to begin the year than with The Slaughter of the Innocents? 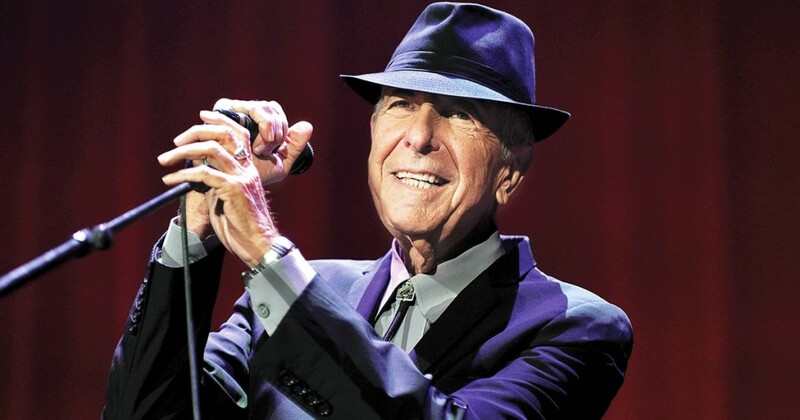 In such an ugly time, the true protest is Beauty On Christmas morning, 2017, I was driving to work and was lucky enough to hear a rebroadcast of an interview with the Canadian poet and troubadour Leonard Cohen. Cohen died in 2016 and the interview had been recorded a few months before he took off. He knew he was dying, was in great pain, yet gamely bestowed a lovely, poignant, and oftentimes hilarious valediction. Among other things, he credited his approach to pain management to his decades-long association with an "alternative" Buddhism in a compound atop California's Mt. Baldy. Cohen said, "It makes whining the least appropriate response to suffering." Pain and suffering are certainly things to complain about, but the only things we can truly control are our reactions to them. As we make our way into the second year of a presidential administration that at times seems both inevitable and the biggest joke ever played, I think of an exquisite protest song Cohen released in 1969—the year I was born—that puts the slaughter of innocents in a Biblical perspective. "The Story of Isaac" takes the Old Testament tale of Isaac and his father, Abraham, and turns it into an anti-war message. Though he never mentions the Vietnam conflict raging at the time Cohen, speaking as Isaac, tells "you who build these altars now/To sacrifice these children/You must not do it anymore...A scheme is not a vision/And you never have been tempted/By a demon or a god." Isaac's father, on the other hand, was poised to kill his son for "The Beauty of the Word." Cohen's simple arrangement of "The Story of Isaac" echoes the 14th century "Coventry Carol," a story of the Nativity that's about as far from "Jingle Bell Rock" as you can get. The "Coventry Carol," as we have come to know it, is a lullaby sung by the mothers of ancient Judaea to their children who are about to be put to death under the orders of King Herod. And how will Herod know of these children? By virtue of the census that is bringing Joseph and soon-to-be teen mom Mary to Bethlehem. The Carol is also known as "The Slaughter of the Innocents." 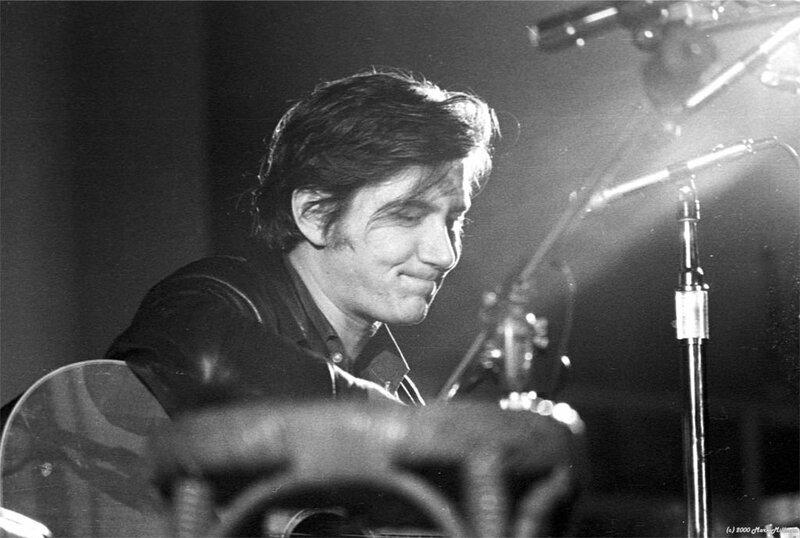 A Cohen contemporary, the late songwriter Phil Ochs, was fond of saying, "In such an ugly time, the true protest is Beauty." I'm not alone in thinking that the way we respond to ugly things can often be just as ugly. Social media helps this tendency, as they are data-mining, ad-supported force accelerators. We feel justified in leveling the playing field, scorching the earth, rather than "going high," as Michelle Obama said. We must not do that anymore. I might not believe in "a demon or a god," but I like the high bar Isaac set for sacrificing the innocents among us, whether those be innocent of wealth, innocent of education, or even innocent of common sense. And I would like to make the righteous protests of my future beautiful ones. Copyright © 2018, UUCVH. All rights reserved.